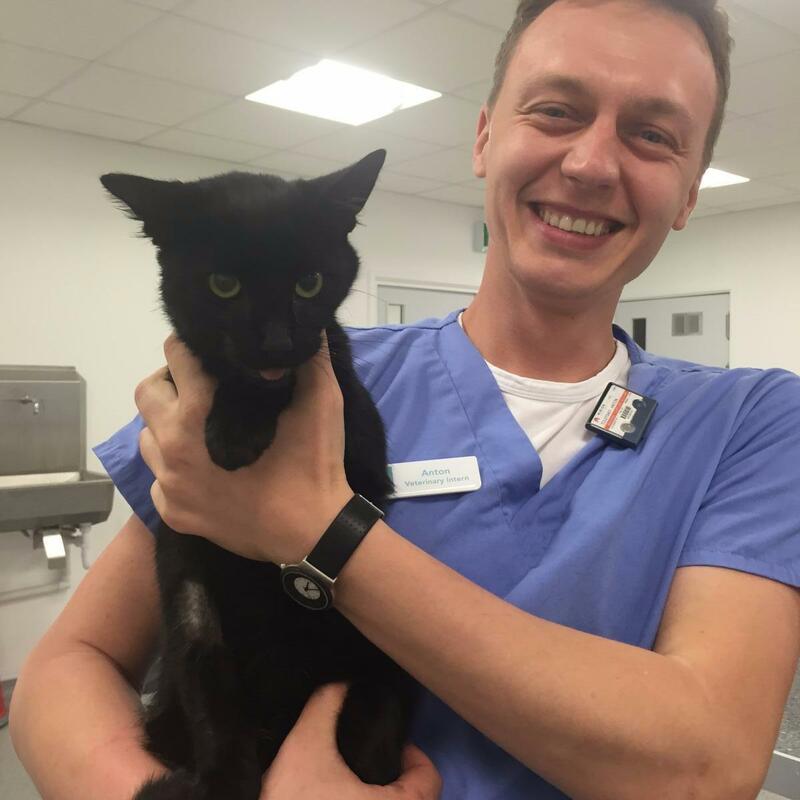 One Sunday afternoon in August, a little stray cat was found struggling for life on the side of the road in Highams Park. He was gasping for breath, couldn’t move, and had one side of his body completely scabbed over. 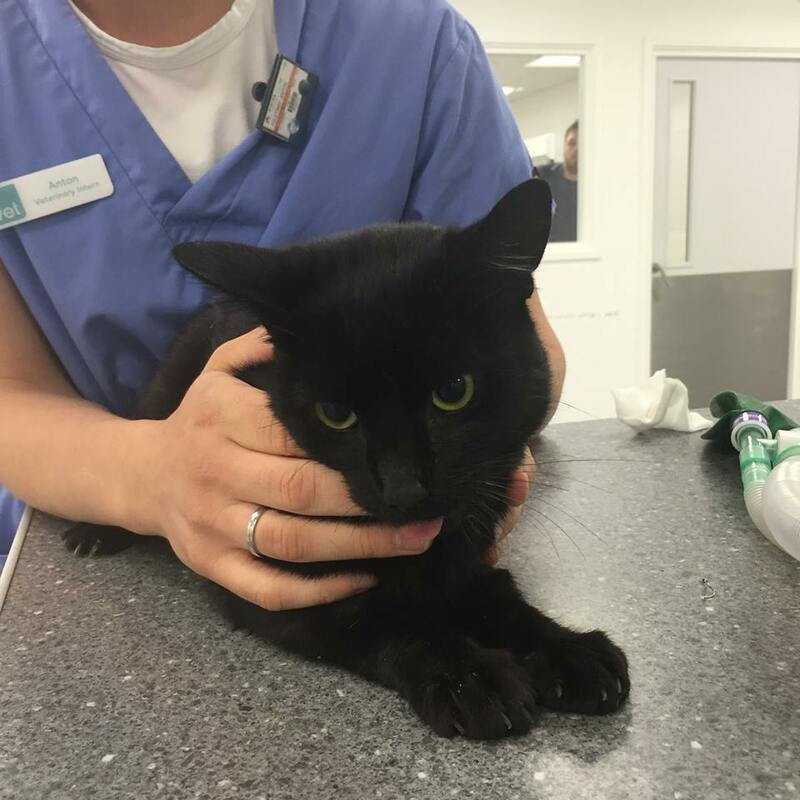 He was brought into The Vet Waltham Forest where the vet presumed that he had been hit by a car. They rushed him into their treatment room, gave him oxygen and pain relief, and started administering IV fluids. Once he was stabilised, they anaesthetised him, took x-rays of his chest and head, and performed an ultrasound of his abdomen as these are the areas of most concern when it comes to road traffic accidents. He had unfortunately fractured his jaw and sustained fractures to four of his ribs, but luckily these had not punctured his chest wall which is always the worry. While he was under anaesthetic, they realigned and stabilised his jaw with orthopaedic wire, and his ribs were left to heal by themselves over time. They then cleaned him up nose to tail, flushed his wounds, and started him on antibiotics. The next few days were tough, but three weeks on and their new little friend, named Mayo, was purring and head bumping like nothing ever happened. He ate like a lion and wanted nothing more than to explore the clinic. A big thank you to those who brought him and, in every sense, saved his life. 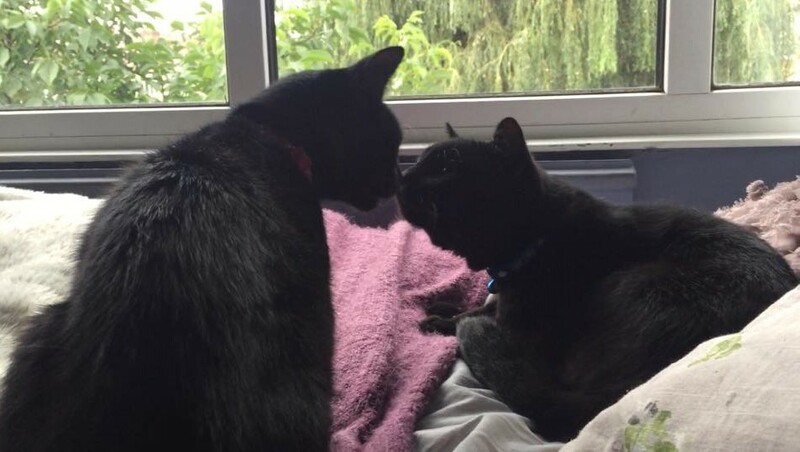 Mayo has been rehomed (now named Pendle) and is settling in nicely into his home with his new friend Salem.